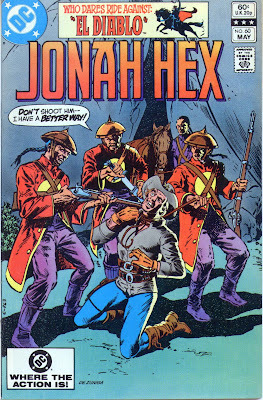 Matching Dragoons: Jonah Hex #60 "The Domain of the Warlord!" 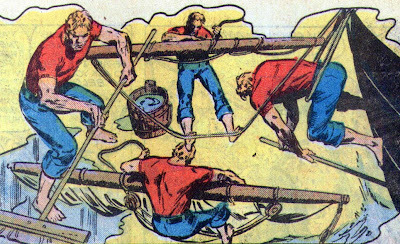 It WOULD be handy to know how to say "cram it" in a Chinese dialect. I wanted to mention the Chinese in the scan above is just characters made to look like Chinese characters. Close to the real thing, but meaningless. Maybe the artist changed a few strokes on purpose knowing that Americans can't speak/read/write Chinese? 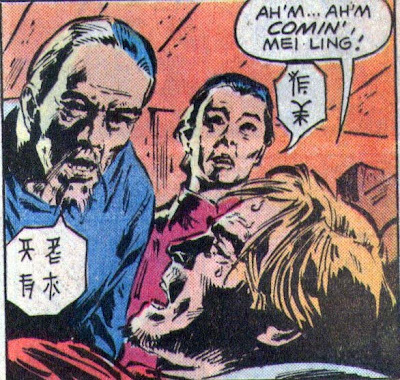 I really wonder where they got the inspiration for the Chinese used in these comics. Good call on the Chinese! This was addressed in a following lettercol and I'll post the editor's response soon.